Noun. 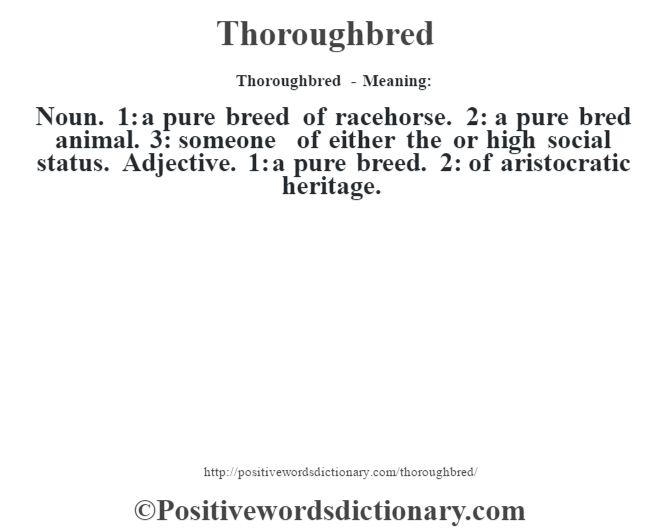 1: a pure breed of racehorse. 2: a pure bred animal. 3: someone of either the or high social status. Adjective. 1: a pure breed. 2: of aristocratic heritage.